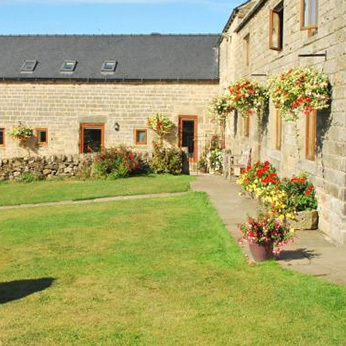 Park Farm B&B is in a converted barn, situated in Wingfield Park, Derbyshire. 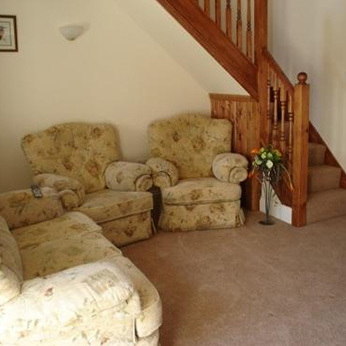 The bed and breakfast is sited on a family run, working farm lying between the villages of Crich and South Wingfield. Park Farm enjoys a scenic location with beautiful views of the Derbyshire countryside, making it an ideal place to relax and unwind. Placed only 15 minutes from the M1 and A38, Park Farm is an ideal base for touring the Peak District National Park. The National Tramway Museum at Crich is just two miles away. Chatsworth House, Haddon Hall, Hardwick Hall and the Heights of Abraham at Matlock bath are just a few of the places of interest nearby. Park Farm is also and ideal base for the corporate clients working in and around the industrial estates of Alfreton, Sommercotes and South Normanton. Local village pubs serving food are located within 2 miles. Gift vouchers are also available upon request. Our bed and breakfast is ideal for walkers of the High Peak Trail. 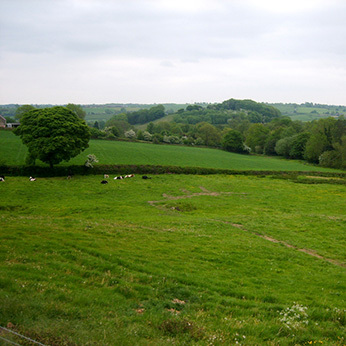 There are footpaths directly from Park Farm leading to such places as the ruins of Wingfield Manor (where Mary Queen Of Scots was imprisoned) as well as Pentrich (famous for its revolution) and Crich (known as Cardale in the TV series Peak Practice). 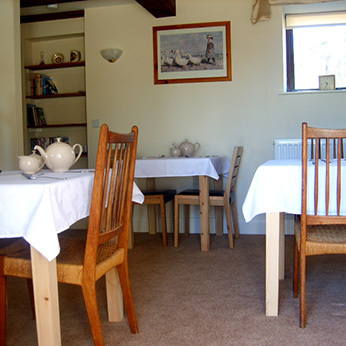 We offer our guests a very high standard of bed and breakfast accommodation in a beautifully converted barn. We are fully equipped with all expected amenities and facilities and have 1 double bedroom and 2 bedrooms offering double or twin bed facilities. Park Lane runs between the B5035 and the B6013 and is easily accessed from the M1 J28/29 or A38 at Ripley or Alfreton. Park Farm is an ideal location for clients working in the Alfreton, Somercotes, Ripley, Belper or Ambergate area. Village pubs serving food are within two miles. N53˚ 4' 59.30", W1˚ 27' 20.50"